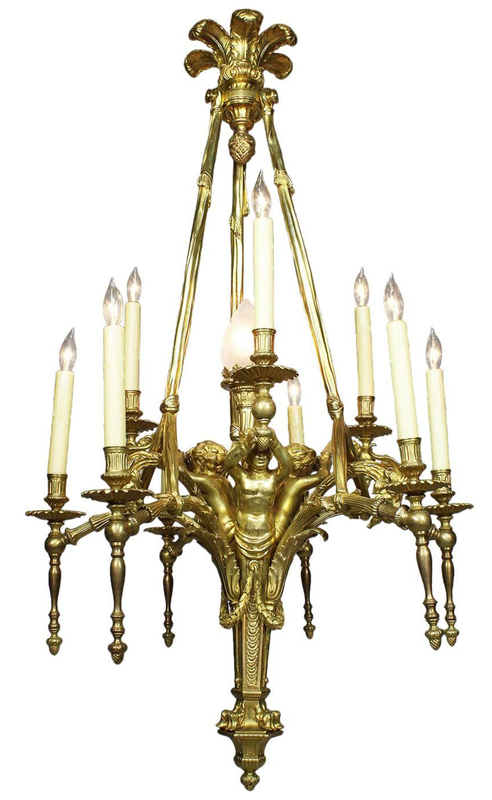 A Very Fine French 19th/20th Century Belle Époque Ten-Light Chandelier. Circa: Paris, 1900. 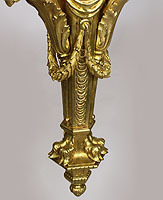 The Royal peacock feather-cast corona centered with pine-cone finial drop, supporting three suspending tasseled swags, the nine candelabrum alternating with ram heads and Putto terms with their arms raised, each supporting a single candle arm, a quiver-form support with hoof feet and berried terminal, centered with a frosted glass flame torch light. 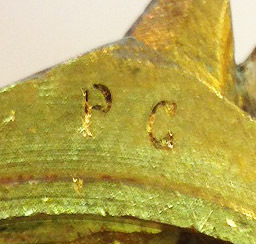 Stamped: "P G". Circa: Paris, 1900.